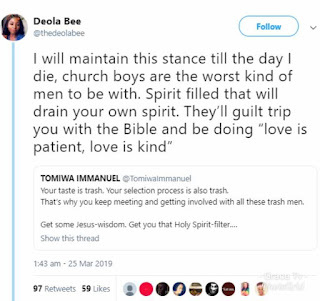 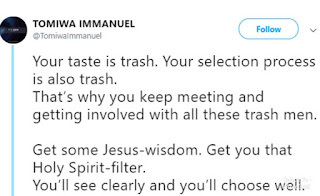 A Twitter user criticized women who end up with "trash men" and said it is so because they do not go for spirit-filled men. 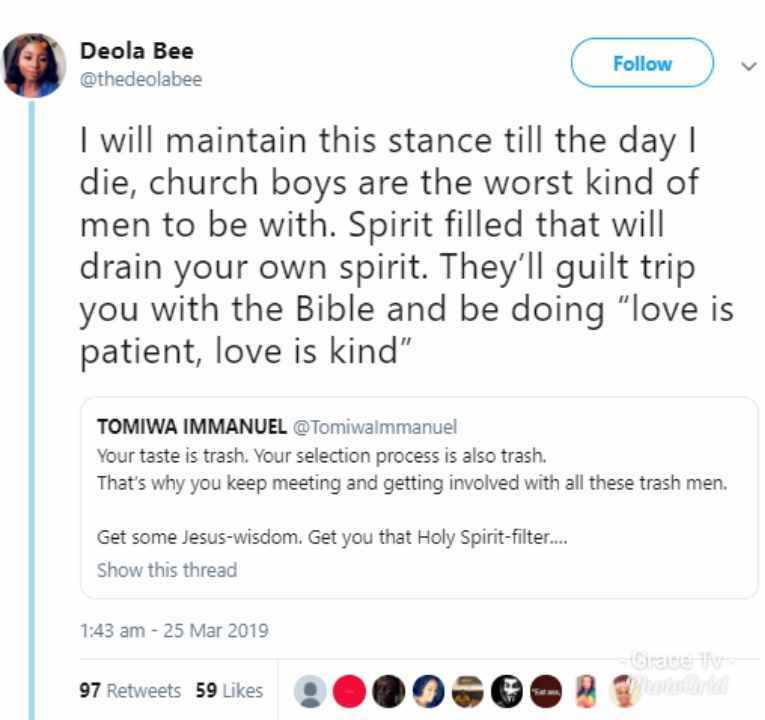 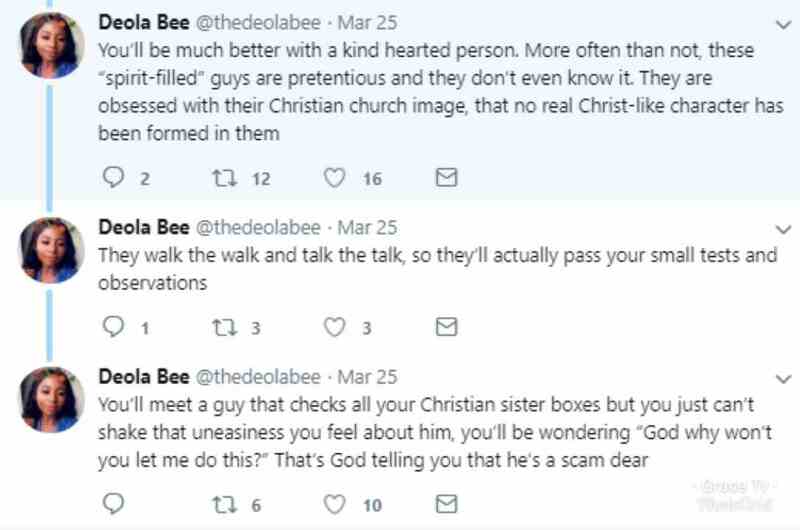 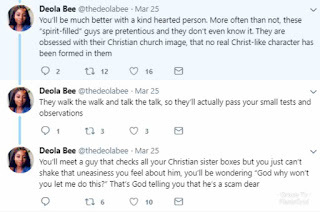 This led to a debate as Twitter users argued that "church boys are the worst kind of men to be with." 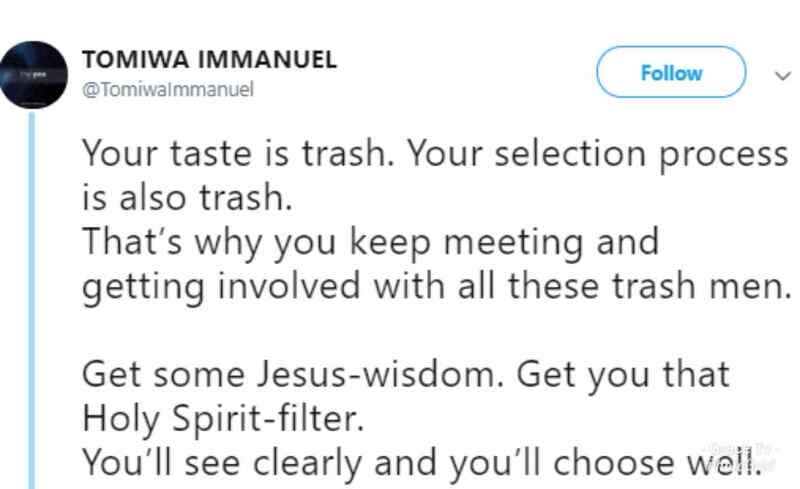 Read the tweets below and tell which side you're on.